Kalaburagi (Karnataka): BJP president Amit Shah on Monday took on Congress chief Rahul Gandhi for his attacks on the prime minister over the PNB scam, saying no other government had acted as promptly and taken stringent action against frauds as the Narendra Modi government. Shah also hit out at the Sidaramaiah government, accusing it of following "'three Ds — Dhokha (cheating), Dadagiri (goondaism) and dynastic politics". 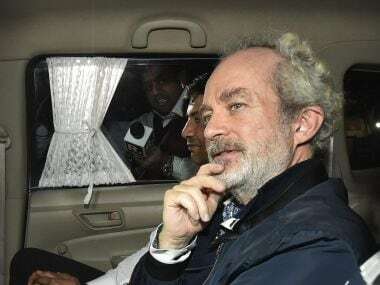 The BJP chief said the Enforcement Directorate and the CBI have taken prompt action in the case. 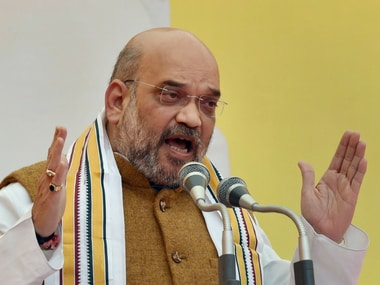 "There has been no government other than Modiji's government, that has taken prompt and most stringent of actions against any frauds committed in the past," Shah told reporters in Kalaburagi. His reply came when he was asked about Gandhi's remarks against Modi in the multi-crore PNB fraud case. 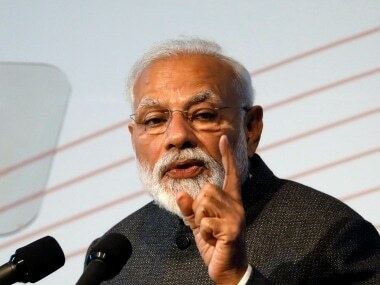 At public rallies at Vijapura and Bagalkote districts in North Karnataka, Gandhi had been targeting Prime Minister Narendra Modi on corruption, asking as to why Modi, who had described himself as the country's chowkidar (watchman), was "silent" on the bank fraud allegedly involving jewellers Nirav Modi and his uncle Mehul Choksi. Shah said, "The ED has already taken action (filed a case under the Prevention of Money Laundering Act). Prior to it, the CBI had registered an FIR early this month." 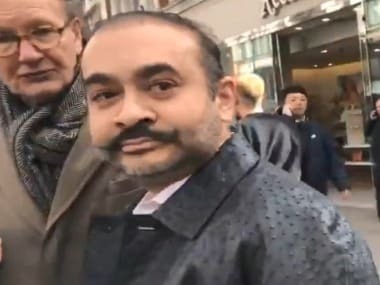 The ED had also conducted raids on the properties of Nirav and seized jewellery and some shares besides freezing his bank accounts, Shah said. In his opening remarks, Shah said BJP was certain to form the next government in Karnataka because the Siddaramaiah administration had "failed" on all fronts including checking corruption and by meting out injustice to temples and religious institutions. "Corruption and Siddaramaiah government have become synonymous," he alleged. Moreover, the people of the state were angered over the Siddaramaiah government's "nefarious" intentions of dividing a community by according separate religion status, Shah said. "If the BJP is voted to power, we will repeal the proposal (to give separate religion status to Lingayats)," he said. Lingayats/Veerashaivas form a major and influential community in Karnataka, sections of which are seeking a separate religious tag. The Siddaramaiah government is being accused of trying to divide the community by forming a panel to make a recommendation on the issue to the Centre. "The Siddaramaiah government has been cheating the people of the state by not fulfilling its promises. The people of Hyderabad-Karnataka region are saying they have not seen such 'goonda' government and thirdly, are unhappy with the rule of two families in this part of the state," he said. "If anyone wants to see the governance of the Congress, then go to the constituency of Kharge sahab," Shah said. The dynastic politics jibe was apparently a reference to Congress leader in Lok Sabha Mallikarjun Kharge from Kalaburagi, whose son Priyank Kharge is a state minister. The BJP chief said he received feedback from party workers that there was too much of backwardness. "There is no such backwardness in any place of Karnataka, but in Kharge sahab's own constituency," he said. Shah said after winning the election, the very first thing that the BJP government would do is to restart the local sugar mills, which are closed at the moment.